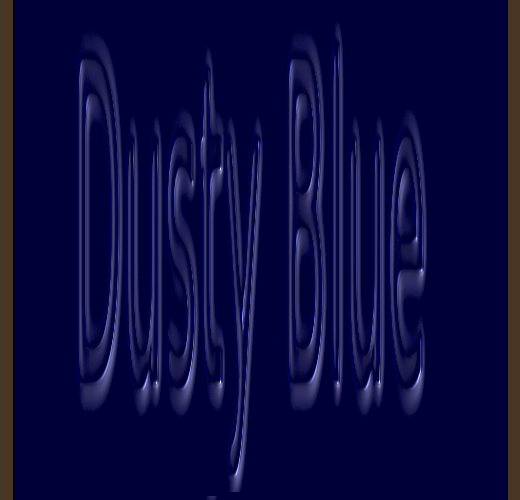 My first ever romantic novel, “Dusty Blue”, takes us on a tour through the bayou backwater town of Bittercreek, and through a plot landscape thoroughly separated from the experience of most of us. Our plot mainly centers around the lives of two people – “Dusty”, and the young man who, but for the twisted plot – would have been her lover. Danny comes across to us in the opening chapters as a stand-in, on some levels, with Mayberry’s Barney. He is convincingly serious about most things, as the novel does not allow for quite so much of the humor that might be attached by such a reference. The breeze was a little cool, but other than that it was a perfect night. Dusty pulled on Danny’s arm, then ran to the little ticket stand next to the wicked looking ride. “This one is so cool! We have to get on this one!” Danny was embarrassed by the caution that covered his face, but he quickly pulled the confident-guy countenance down over the anxious one.. Dusty’s excited face lit up as she reached the dugout on the side of the car, and slipped onto the smooth metal painted seat. The crackling overly-loud music started up as the car jerked forward on its roller pins. Round and round they went, with the long arm of the car connector “cracking the whip” once on every turn. Gravity, ever stronger on successive turns, first pressed the two of them against the left side of the car, only to press them firmly against the opposite side moments later. Dusty’s gleeful shriek rang out on alternate swings of the wildly twisting car. On each orbit she cast herself, exaggerating the effects of gravity, pressing Danny against the door, laughing, until the mad machine pulled her the other way. Danny folded out another dollar. The balloons floated against the pegboard, seemingly taunting him for missing on every toss. The carney egged him on. “You’ll have it this time, I’m certain!” Dusty shook her head up and down, affirming the carney’s words.